The experience of visiting The Islands of Tahiti would not be complete without attending a Tahitian drum and dance performance. 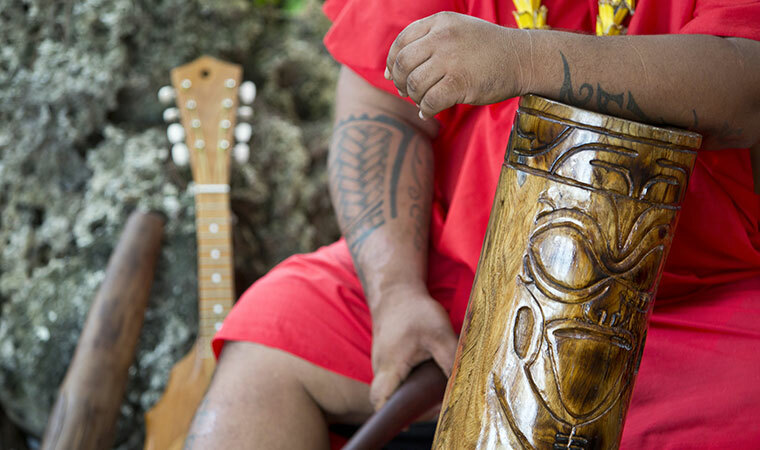 Tahitian drums represent the passion, vitality, and harmony of the Tahitian people. When paired with Tahitian dance it can be described by the word heiva, or assembly, also the name for the largest cultural gatherings that take place annually in Papeete, called Heiva i Tahiti. 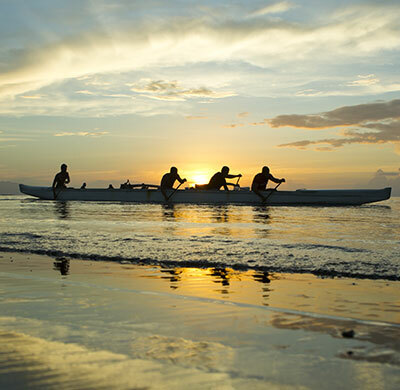 This event brings together song and dance traditions from all five archipelagos that make up The Islands of Tahiti. 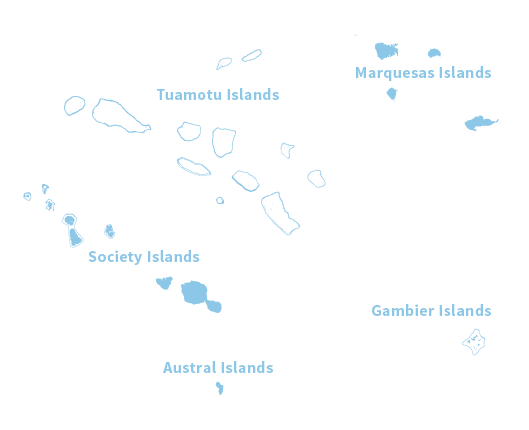 An important part of the revival of Tahitian culture, which was for many years suppressed by colonial influences, Tahitian drumming and dance are widely celebrated once again throughout the islands. 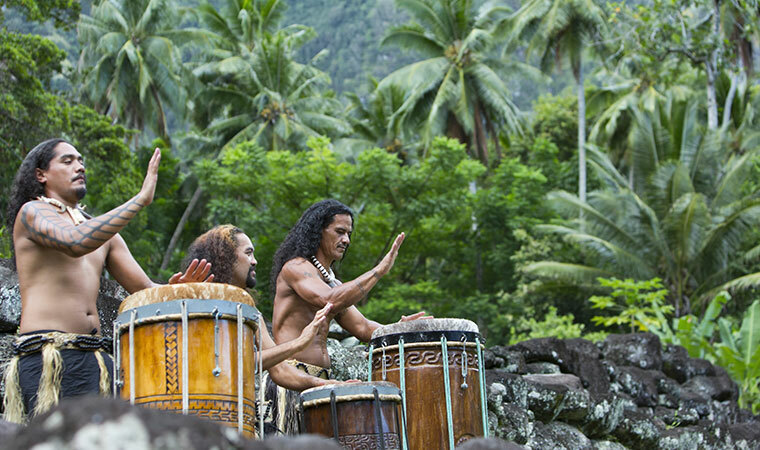 There are a variety of different drums that make up a traditional Tahitian drum team. The largest bass drum is called tariparau. Traditionally, it is made from two membranes of shark skin and is struck with a mallet to produce the underlying rhythm. The second drum is called fa’atete. This drum is made from a single membrane and is struck with hands or drumsticks. It is typically carved with designs of flowers, leaves or figures such as tikis or sea turtles. It is used to play more complex beats than the tariparau. The to’ere is made from wood found locally and played with a cone-shaped stick, also made from wood. Depending on where the drum is struck, the sound will change, so getting the hang of this instrument can prove quite difficult. Like the tariparau, it also has carvings. 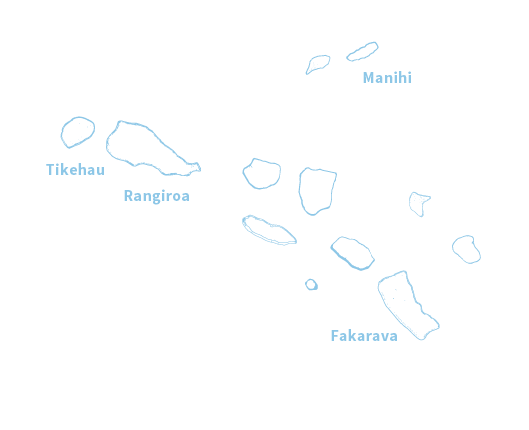 The to’ere beat provides cues to the Tahitian dancers’ step changes and gives the composition of both the Tahitian dance and drum pattern complexity. Tahitian drums are made from a variety of local woods and other materials. Coconut tree wood, kou, milo, and kemani woods are popular types of wood used for Tahitian drums. The drumhead is traditionally made from shark skin, but nowadays, it is more often made from cattle hide. Due to the expense of purchasing a Tahitian drum, many musicians choose to make their own. Particularly the to’ere, which is a hollowed-out log with a slit down the center. There is a heavy focus on rhythm but very little room for melody. Tahitians will sometimes vocalize during the performance, shouting out cues to the dancers who may be out of step with the rhythms. A quick tempo which introduces the composition. It informs listeners and dancers of the order of the program. The second pattern is the main rhythmic pattern of the piece. The third marks the end of the composition and serves as the main queue for the dance changes and choreography. No Tahitian dance performance is complete without the live accompaniment from a team of Tahitian drummers. Teams can be as few as five drummers, but it’s not uncommon to see Tahitian drum teams with as many as 12 or more people! The compositions and rhythm queues are passed down orally to the musicians and dancers. Both the musician and the dancers appear in elaborate Tahitian costumes. These costumes can vary in their complexity and design. The simplest costume type is a short worn by both male and female dancers tied at the waist with a bare midriff. More elaborate costumes feature flower crowns and grass skirts, or even very ornate headdresses. When Captain Cook first arrived in The Islands of Tahiti, he described the dancers he saw as wearing only tapa cloth about the waist for both men and women. Additionally, women wore feathered coverings over their breasts and headdresses made from braided hair and flowers. Heis, or crowns made of flowers or leaves, are often worn by both men and women. For women, the hair is usually loose and hangs long down the dancer’s back. 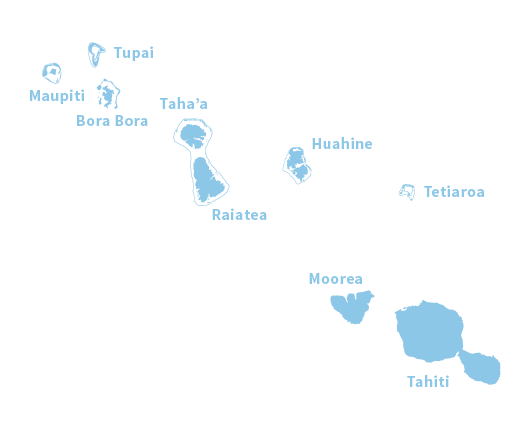 More elaborate costumes can have tall headdresses (HEI UPO’O) and polished coconut bras (tapea titi), as well as grass skirts made from local hibiscus (purau). 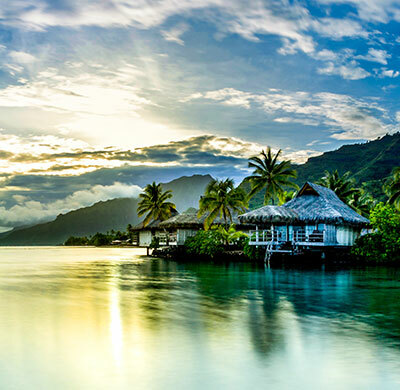 The costumes, music and intricate dance moves all work together to create an unforgettable performance that can only be found in The Islands of Tahiti. When planning your trip, inquire whether or not your resort or hotel features any live performances. 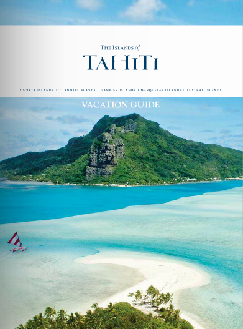 Explore the various festivities and events held throughout the islands while you’re planning your Tahitian getaway.